The pruning of roses is often put forward as difficult, however if you follow a few basic tips you will find it quick and easy. To become reasonably good at pruning roses will not take more than a few hours. To become an expert will take a few years. The best approach is to take things slowly and not prune to hard to begin with. 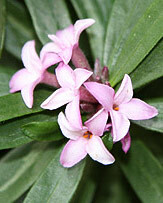 If you can prune to the right angle above the bud, you are off to a good start - see image right. Loppers - For those roses that are cur right back each year, a good or pair of loppers is useful. Why clean equipment? to prevent disease. Why sharp? So that cuts are clean and do not leave wounds. Why good quality? A good quality pair of secateurs will be easier to keep sharp, and will last a lot longer than a cheap pair. With all pruning it is essential to use sharp and clean secateurs, forget the loppers and saws for all but the thickest of cuts. Usually carried out in late winter before new growth commences. Start by removing any dead or damaged wood, a clean cut is essential and on some wood a pruning saw may work more effectively. Some roses will have put on way to much growth, in this case start by bringing the whole plant down to a level above where you want to be in the end. This makes it a little easier to manage and to visualize the final shape. Now prune to shape, the general idea is to open the centre of the rose bush a little which will allow light and air into the plant. This helps preve nt disease as well as encourage flowering. 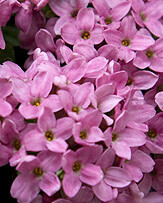 Visualise an open vase shape and remove some of the inward growing shoots and branches. Next remove any very thin growth, those that are less than a pencil thick. Now we are up to the pruning to size, in general remove 1/3 of the growth. 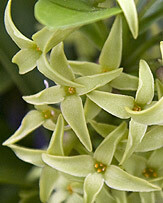 Always cut to an outer facing bud, at a 45% angle at around 1cm (1/3 inch) above the bud. If in doubt, take less rather than more, you can always prune a little harder later on. This is a fairly safe method which minimalists your chances of doing much damage. After you have mastered this you can prune a little harder, removing 1/2 to 2/3 of the rose bush at a time. You will read about different rose varieties requiring pruning at different times and using different methods. This mainly relates to The 'Rambling Types' and those that flower on 'old wood', and chances are if you are growing these you will know what they are. A few rose pruning rules. One rule is to prune after the dangers of frosts has passed, if you prune early and a frost comes along, new soft growth will be subject to damage. This will differ according to climate zone and aspect. 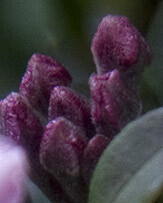 If you leave pruning a little later it will be easier to see where the new buds are forming. Ideally you will start the cut at 1cm above the bud and angle it down to equal with the bud itself but on the other side. 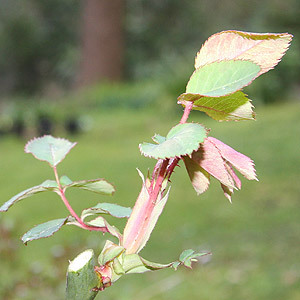 The cut should not angle to below the bud. How to Deadhead Rosed - Prune (or deadhead) spent flowers from your roses right down to the first shoot that has five leaflets, this will encourage new flower shoots. Use sharp secateures to shrub and standard roses, save the loppers for carpet roses and really tough old canes. 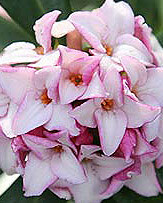 Dispose of all pruning's as they can carry disease, rose pruning's should not be composted in the home garden.